Your winter decoration will be a success with our decorative ice and decorative snow products. 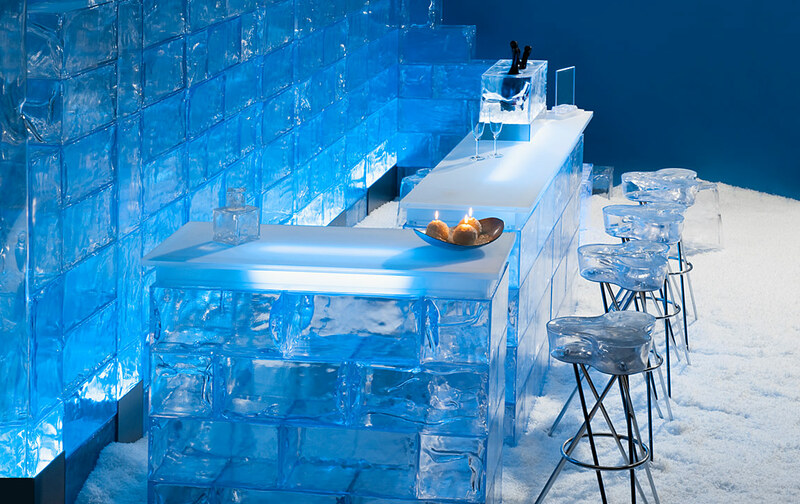 Do you need ice furniture for your winter event or film shoot? Then you have come to the right place. Choose your decorating products and send us your request! We have been renting deceptively realistic decorative ice furniture and winter effects to our customers for many years at fair prices. Rent your winter decoration now and make your winter wonderland or Christmas party a unique experience! Original photo box for hire - for ice-cold snapshots in the artificial ice block! Our ice stools for hire at a height of 40 or 80 cm, made of realistic looking plastic, are an ideal winter decoration.